Would you like to revamp the design and functionality of your blog this year? Giving it a fresh look and getting access to world-class features? The best way to do it is by installing premium WordPress themes and plugins on your blog. Usually, it costs a lot of money to take a plunge ahead in this direction and buy these premium WordPress products. Not a big deal for bloggers and internet marketers who are earning a decent income from their sites. But what about those who have just started their journey? They have very slim chance to purchase premium themes and products of their choice due to lack of money. If you can relate to this situation, then you know how painful and frustrating it can be at times. Now you can get premium WordPress themes and plugins of your choice without spending a single dime. Want to know how? Keep reading. 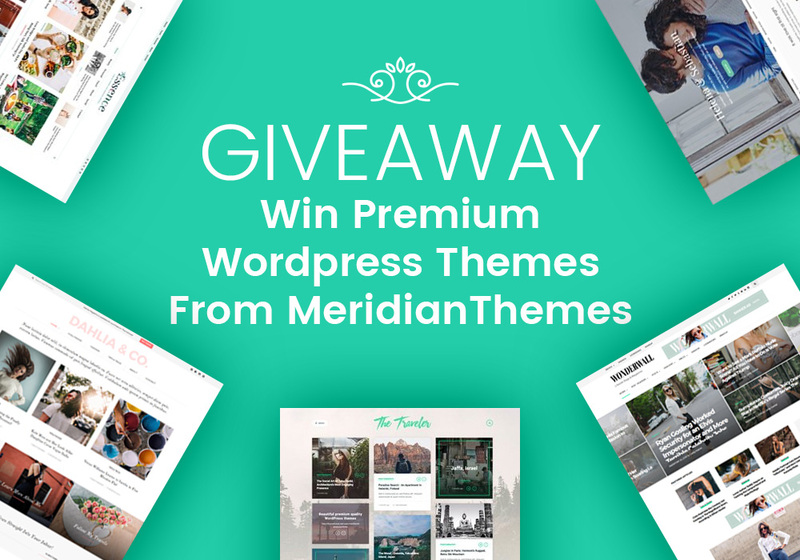 Our friends at MyThemeShop have decided to giveaway a full-year long membership of premium themes and plugins to three lucky winners. It means the winners will get to enjoy a premium theme or plugin MyThemeShop for an entire year. Not to mention — FREE OF COST! MyThemeShop is a popular name among bloggers and internet marketers. Known for their high-quality WordPress products, MyThemeShop offers a wide array of beautifully designed and well-coded themes and plugins for bloggers, startups, SEO agencies, large enterprises, journalists, entrepreneurs, and authors. Winning premium WordPress themes and plugins of your choice is very easy and simple. Participants need to visit MyThemeShop and choose any theme or plugin they like. Once they have selected their favorite products, they need to come back to this post and leave a comment as to why they love that theme or plugin. That’s it. 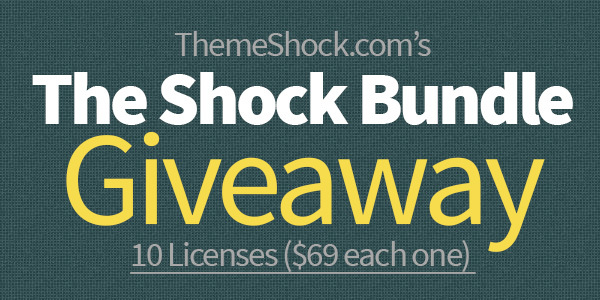 Prize: Free access to any theme or plugin of your choice for one year. WINNERS: We will pick three winners at random. Winners will be announced on 10th June 2018 here and you will be contacted via the email ID you used to comment. The Schema is one of the fastest loading and most SEO-friendly themes in the market. Known for its rich snippets, Schema comes with a fully responsive design, built-in review system, ultra-fast and search engine optimized layout, lightweight code, custom CSS, unlimited backgrounds, and a robust options panel. With its unique ad management system, users can increase their earnings by a significant margin. WP Real Estate Pro is a robust WordPress plugin that can help you design a fully responsive real estate listing website. It comes packed with readily-integrated Google Maps, customizable features, and IDX and MLS integrations. WP Real Estate Pro is compatible with all the WordPress themes and is powered by premium features that will enable you to build a high performance, feature-rich, and user-friendly real estate listing website in no time. Some of the other freebies with WP Real Estate Pro include advanced search form, WordPress customizer, related listings, agencies listings, import & export function, custom widgets, image gallery, PayPal & stripe support, secure code, different membership plans for agents, frontend submit form, developer friendly design, mortgage calculator, Ajax filter, and what not. eCommerce is a delicate, stylish and professional-grade WordPress theme exclusively designed for e-commerce stores. It comes packed with a fantastic layout to ensure you make more sales than ever. Some of its primary features include WooCommerce compatibility, custom options to sell digital goods, affiliate products and physical products, over six different header styles, a broad range of homepage layouts, three single post layouts, mobile-friendly, search engine optimised, integrated support for Yoast SEO, parallax slider, beautiful design, stepwise checkout process, option to add unlimited categories on homepage, multiple pagination options, different backgrounds, endless colour combinations, fast loading, testimonials-ready, extensive documentation, and 24x7 support. Don’t let this opportunity pass over just like that. Visit MyThemeShop today and check out different premium theme and plugin of your choice. Don’t forget to share with us in the comments section as to why you like them and stand a chance to win a year-long MyThemeShop premium membership of any product for free. Good luck! If I won, I would give my blog a facelift, I think! I would build brand new websites! So much excitement about Giveaway…..
THEME: NewsToday, perfect for a blog-newspaper type of site I want to make. PLUGIN: Content Locker Pro. I want to give back to the community as much as I got and more, but some knowledge is VERY hard earned and it is time to get some money back from what I spent, thus the choice.